The ADP/ATP carrier (AAC) is the only structurally known member of the mitochondrial carrier family (MCF), which is responsible for the exchange of ATP and ADP across the inner membrane of mitochondria. 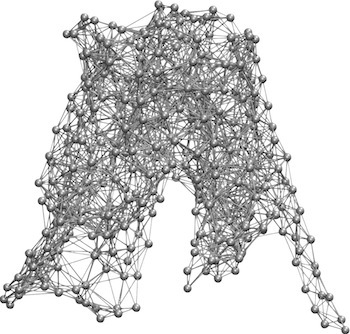 We employ computational and simulation methodologies in order to study the dynamics of this carrier, to characterize the binding site of the substrate, and to develop a model for major structurally unknown sates. GlpT, glycerol-3-phosphate:phosphate antiporter, is among the few structurally known members of Major Facilitator Superfamily. 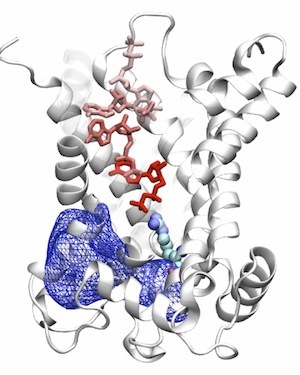 Alternating -access mechanism, which asserts that the single binding site of the transporter is only accessible from either side of the membrane simultaneously, has been proposed. Our simulations captured spontaneous substrate recruitment from the opening of the lumen of GlpT and conformational changes induced by substrate binding that are consistent with the alternating-access mechanism.